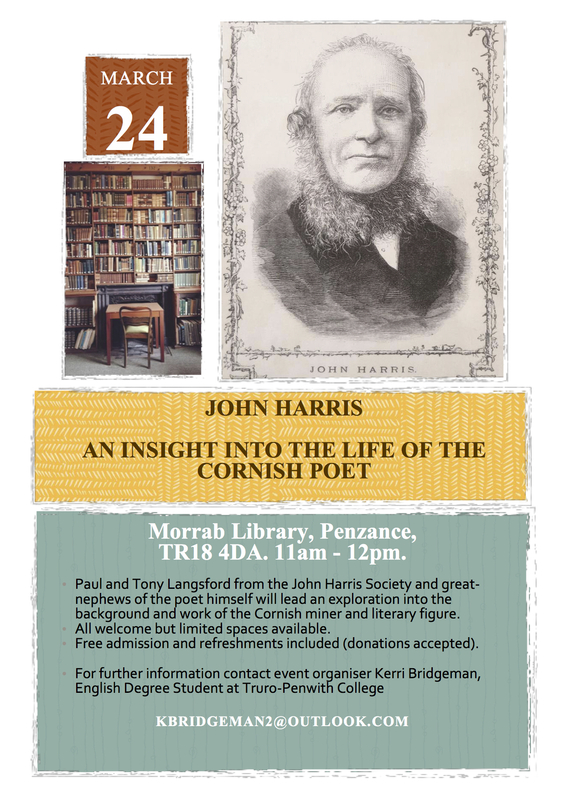 John Harris Talk – Cornishman, Poet, Miner & Methodist Preacher..
On Saturday the 24th March, the library will be the fitting venue for a talk on the life and works of John Harris. The speakers, from the John Harris Society, are in fact the great-nephews of the Cornish poet. The event has been organised by Kerri Bridgeman from Truro-Penwith College. Both members & non-members are most welcome & there will be tea & biscuits after the talk.